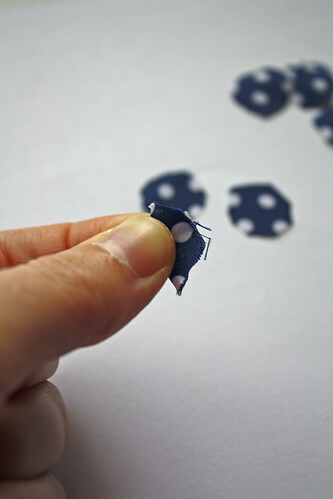 I’ve been a little lazy lately, but it’s a good thing 🙂 This is a simple tutorial to make some cute earrings with some leftover scraps of fabric and beads. I like how mine came out and I hope you do too. 1. 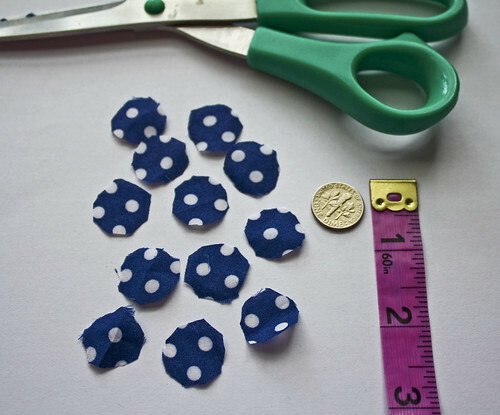 Using a dime as a pattern, cut out 12 circles from your choice of fabric. 2. 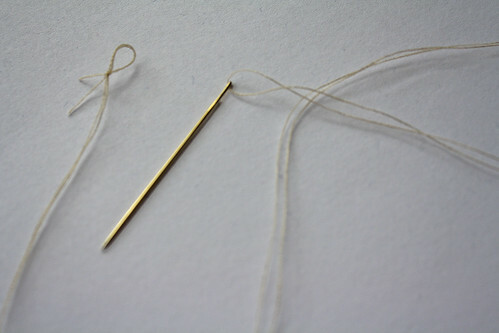 Thread your needle. 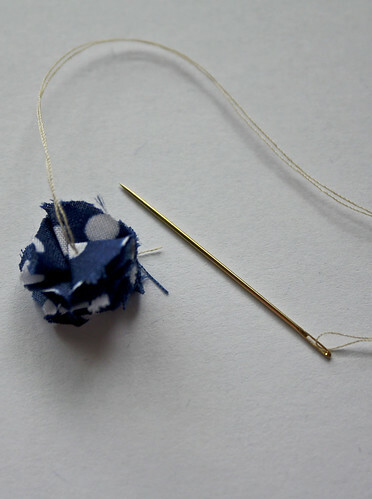 Use a long piece and once threaded bring the end pieces together to create a knot. 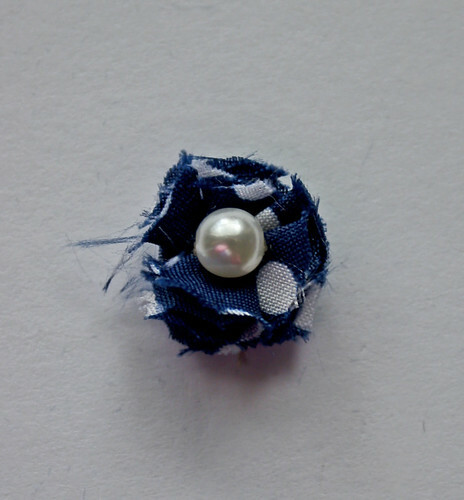 Make sure you leave a hole to help secure the earring. 3. Prepare the flowers. To make a petal you will fold a circle in half. Then fold the half in half. 4. 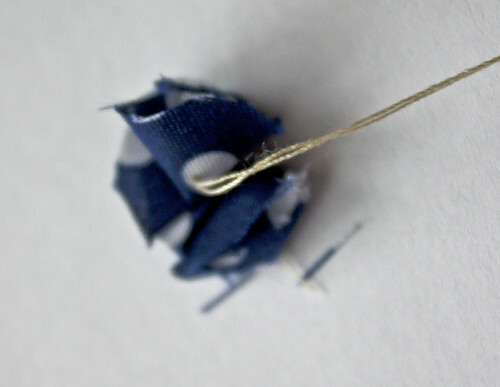 Sew through the point of the first petal and thread through the loop in the thread. 5. 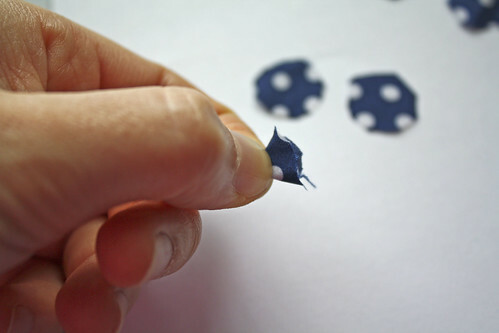 Fold the rest of the petals, one by one, sewing through the point after each one is made. There will be six per earring. Spread the petals in a circular way. The picture below is with two petals. This is with 4 petals. 6. 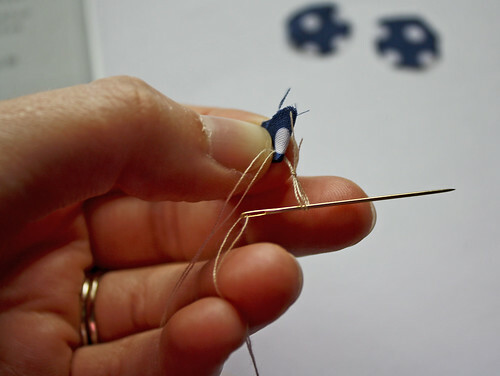 After you have arranged six petals, thread through a bead and then sew back down through all the layers of fabric. Knot the thread to secure it all. 7. 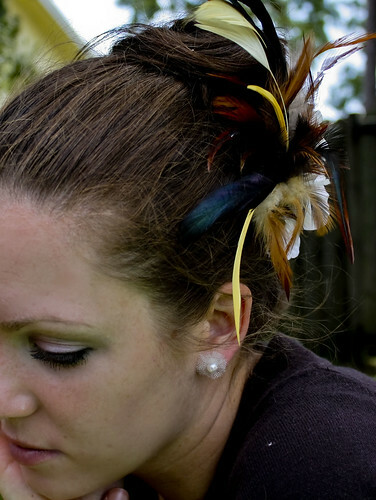 Glue the earring post onto the back of the flower. Those earrings are really fun. And you look beautiful wearing them! So tiny so delicate! I am impressed! Oh man, those are adorable – you do such cute things!!! I can’t wait to make them! Thank you for all the wonderful ideas! Cute, cute, cute! I love these little buggers! Oh I LOVE these! 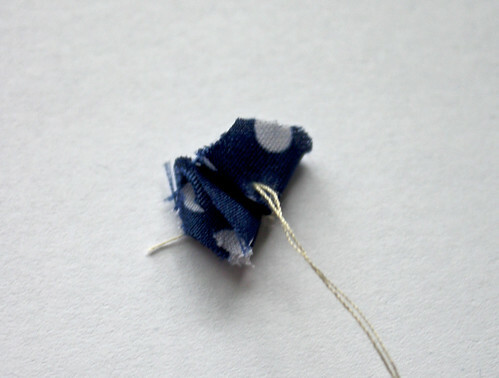 I really want that blue and white polka-dotted fabric that you used! I can’t wait to try these! These are so simple yet so effective! Thank you for sharing the tutorial, I want to try these right away! So cute! Great unique project! Those are way cute! I love your tutorials! cute idea jessica! i’ll have to try this sometime. =) thanks for the awesome tutorials! Aww, I love these! So, so sweet! thanks so much, I’ll be making some and linking to this. What a great tutorial! 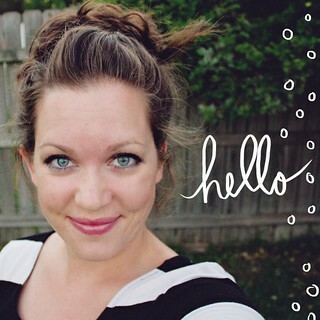 Thank you for sharing such beauty and inspiring photos! 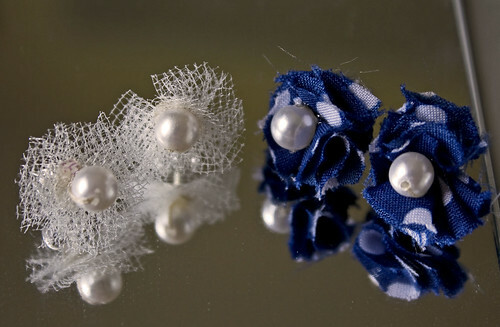 These are the cutest earrings! I just spent the last hour making three pairs & they are so simple! Thank you sooo much for this tutorial!! What a super, super tutorial! Thanks for sharing! I will link in a future blog post. Super cute! I might try to make these soon. Thanks for the idea! I’ve tried out.. Cool it turn out nice… : ) Thankz for sharing the idea. I saw something similar to these in Claire’s, wanted to purchase them because they are sooo cute! 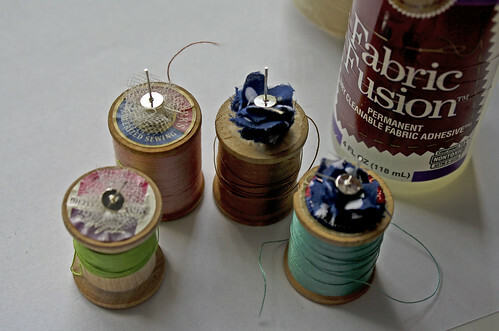 Now I can make my own, I love your creations, never made anything before, your blog is inspiring me to learn and create! Oh my god! I posted something very similar today. Beautiful and so very easy to make. Thanks for sharing your creativity.